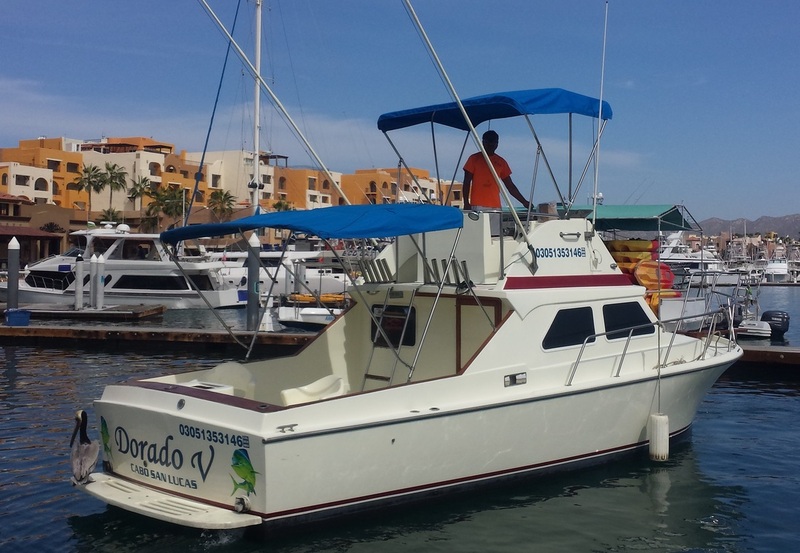 ​Another of the fleets nicer 28' Cruisers. This California was recently added to the fleet and recently updated, it is well equipped with a Turbo Cummings engine, Penn Intl. 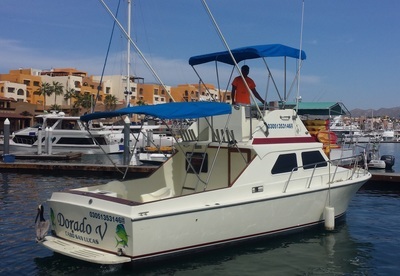 Gear, outriggers, flybridge seating, shade, restroom, live bait tank, electronics, including Fish finder & GPS, two fighting chairs, VHF, stereo/cd. 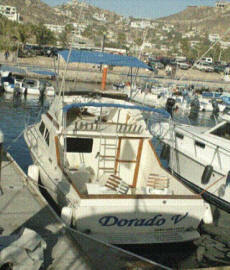 This is another one of our most popular boats so book early for a chance to fish on the "Dorado V". Includes: Experienced Cabo Captain & Mate, Penn International and Senator reels, wide selection of lures including trolling lures for Marlin, Dorado & Tuna plus smaller lures for Sierra, Skipjack, Tuna, Roosterfish and more. ​Why not add food, drinks, bait, & license so you don't have to worry about anything but getting on the boat! 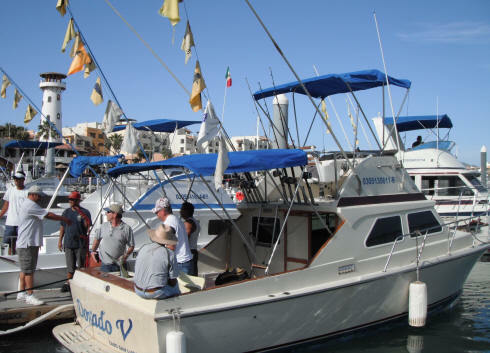 2- anglers $115 day extra includes in addition to regular charter: 10-live bait, lunch, license, dock access fee & 12 drinks(all beer or mix of soda/water/beer) , 4- anglers inclusive option $190 day extra: includes in addition to regular charter: 10 live bait, 4 box lunches, 4 license, 20 drinks(all beer or mix of soda/water/beer) & dock access fees. 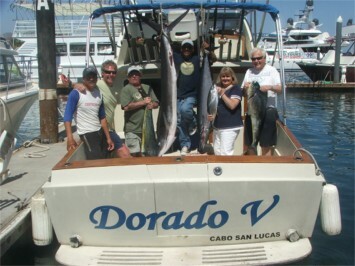 ​Yellowfin & 65 pound Wahoo!